After years of struggling with my weight, I decided to completely overhaul my nutritional, fitness, and lifestyle habits. 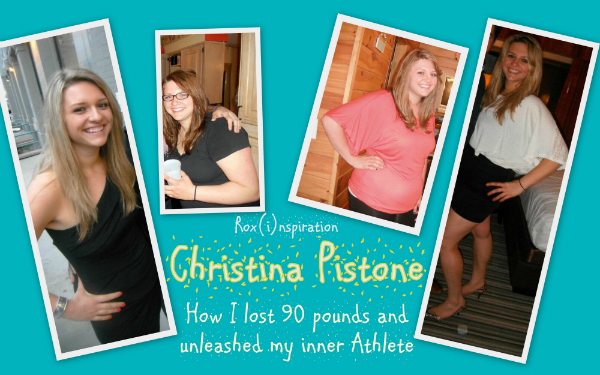 Since April 2011 I have been on this incredible life-changing weight loss journey. I have gone from 261 pounds down to 170 pounds in one year and am almost at my ideal weight. This experience has inspired me to want to help others transform their lives so now I'm working on making this dream become a reality! What is your passion in life/what do you do? My new found passion in life is anything related to health, fitness, and nutrition. I’m an information sponge when it comes to this kind of stuff! I’m studying to become a Certified Personal Trainer through the National Academy of Sports Medicine, which will be the first of many goals I want to reach in this industry.. Currently, I’m a human resources assistant for a magazine publishing company and for the past eleven years I’ve been a ski instructor as well. For the past two seasons I’ve been the supervisor of Our Mountain Children's Ski Academy. Well after watching her for years on television, reading all her books, sweating it out to her workout videos, and religiously listening to her weekly podcasts I’d have to say Jillian Michaels. I completely admire her no nonsense/no excuse attitude with the people she’s training. The impact she’s made over the years helping such a large audience become healthier and happier is remarkable! I’m genuinely inspired by any other weight loss/health transformation story. Nothing makes me happier then when people I know personally call, text, e-mail, or just tell me in person about positive changes they’re making to their health. I love it! That I’m a horrendous dancer! If you want a good laugh invite me to a Zumba class…seriously! My diet consists primarily of fruits, vegetables, whole grains, and legumes (foods that are high in micronutrients). I’ve been a vegetarian now for a little over a year so no fish or meat for me, but I will have very limited amounts of animal by-products such as eggs and yogurt. I also buy local and organic foods whenever possible! I keep myself hydrated throughout the whole day by carrying my reusable water bottle with me. Typically I’m able to exercise about four times a week. I do a mix of cardio, strength, resistance, and flexibility training. Besides hitting the gym, I now live a very active lifestyle. I’m all about running, hiking, cycling, skiing, yoga, basketball, mountain biking, rock climbing, long-boarding, and kayaking amongst so many others. Nothing beats the adrenaline rush from action sports! In March 2010 I considered the getting the lap-band surgery and had attended a mandatory weight loss seminar. While I was there it just hit me that I really had not given trying to lose weight my all. After I stepped foot outside that seminar I hit the ground running with motivation and never looked back! Live your truth. Do what makes you happy. You only have one life to live so why not do what you love while being the healthiest you can be for the longest amount of time possible. I legitimately have a salad obsession. Spinach/kale/arugula mix with portobello mushrooms, tomatoes, cucumbers, quinoa, avocado, and roasted red peppers with balsamic vinegar. Favorite! I am avid believer that knowledge is power. Having the ability to educate and empower people to live a healthy lifestyle and improve their quality of life would be such a privilege.